In an exclusive interview with Azuka Ogujiuba, ThisDay Editor, which was obtained exclusively by Pulse TV, Tiwa Savage addressed the allegations, and made emotional revelations about her husband. 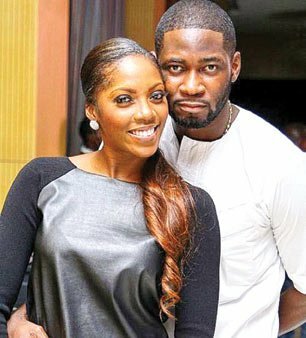 Yesterday, Teebillz had taken to social media to level allegations of infidelity, neglect and passive torture from Tiwa Savage in their marriage. He was later reported to have attempted suicide by jumping off the Lekki-Ikoyi bridge in Lagos. But in an exclusive interview with Azuka Ogujiuba, ThisDay Editor, which was obtained exclusively by Pulse TV, Tiwa Savage addressed the allegations, and made emotional revelations about her husband. This was announced by the Minister of Interior, Lt. Gen. Abdulrahaman Dambazau (retd. ), in a statement on Thursday. Do you live in Ikorodu, Lagos? If you ever have to withdraw money from First Bank and deposit it in Guarantee Trust Bank (GTB), I would advise you go to the bank with your three square meal. 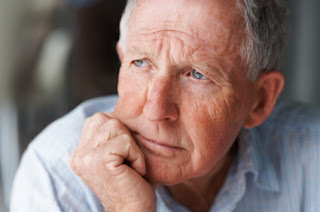 I have often heard from many different people that First Bank is a bank for old people and the reason for this is not far-fetched; the name First Bank clearly gives an insight into this. And it is obvious, even to the blind, that they have a very large customer base. Perhaps this is why the halls of FirstBank are almost always crowded. GTB however is not as old as First Bank but it is indubitable that they too enjoy a massive customer base making thus making their halls never scanty. As is expected, the consequence of a large customer base with unmatching human and capital resources to attend to them can be quite "unhealthy": Yes... Unending and Annoying Long Queues! The students of Obafemi Awolowo University (OAU), Ile- Ife have emerged winners of this year’s edition of Microsoft Nigeria Imagine Cup competition. They defeated students from Ladoke Akintola University of Technology Ogbomosho and Ajayi Crowther University, Oyo, who was first and second runners-up respectively. And by the achievement, the students would represent Nigeria in the Middle East and Africa semi-finals to produce a champion for the world finals scheduled to hold in Seattle, Washington in July this year. The competition however is one of the youth development initiatives of Microsoft Nigeria to give student technologists, developers and aspiring entrepreneurs from academic circle opportunity to collaborate and develop a technology-based applications for future development . This is to inform the general Public that Mr Abioye Segun who uses the pen name Segabio is no longer a member of OAU Peeps News Agency. Mr Abioye's exit however is not birthed from any precedential discord or reprimanding dismissal and is fully consented by the Leadership of the Agency. We hereby use this medium to wish him the best in his future endeavours. The President of the Jury, Dr. Jernail Singh Anand, (W.U.P. Ambassador to the world – W.U.P. General manager and President of jury) in agreement with all the Members of the jury, undersigned Knight Silvano Bortolazzi Founding President and World President of the World Union of Poets announced Abegunde Sunday Olaoluwa as the winner of the WORLD UNION OF POETS PRIZE 2016 with Reena Prasad and Maribella coming in Second and Third place respectively. Mr Sunday, a 300L student of the Department of Estate Management, Obafemi Awolowo University, was said to have dedicated this international poetry Prize to his father who passed on the 1st March, 2016. Fresh students of Obafemi Awolowo University will today, Wednesday by 12:00non start to request for accommodation space by logging in to their portal page on the school website. 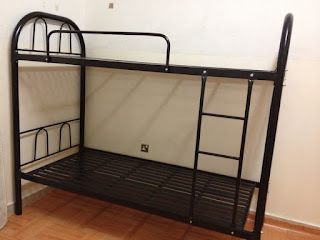 The initial date set for the newly admitted students of Obafemi Awolowo University to request for bedspace (acconmodation) was postponed. The new date is now Wednesday, April 27, 2016 at 12:00noon. The dwellers of the Ibore community in Esan Central Local Government, Edo State have raised their voices begging the Nigerian governments at all levels and the international community to come to their rescue over the continued dilapidations of the town owning to gully erosion hitting it. In an exclusive visit by the OAU Peeps News Agency alongside students from the Department of Botany, Obafemi Awolowo University who embarked on a field trip to the gully erosion sites, the deep gully sites were seen and the inhabitants of the community expressed the daily fear of extinction they live with. Do you know that the most failed courses on Obafemi Awolowo University are arguably courses from White House and Yellow House; Departments of Chemistry, Physics and Mathematics? Do you know these courses are foundational courses taken by newly admitted students? Courses include MTH 101, PHY 101, CHM 101, MTH 105, PHY 105, SSC 105, ZOO 101, BOT 101. It is a known fact among the students that white house and yellow house courses are the most dreaded courses on OAU campus. Why? Speaking with Dr Fadodun Ayo a.k.a AY and Mr Olokuntoye Bola a.k.a Uncle Bola who are lecturers in the Department of Mathematics, they are strongly of the opinion that students fail these courses due to lack of basic concepts on which the topics in these courses are built. Having enjoyed blissful growth over the past decade, Nigeria was one of the fastest growing economies in the world, but it is not one of the 15 fastest growing economies in Africa for 2016. 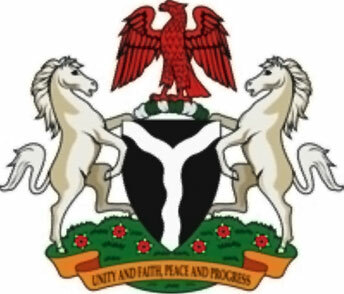 In 2014 and early 2015, Nigeria was named the third fastest growing economy in the world by CNNMoney, with China and Qatar, taking the lead at 7.3 percent, 7.1 percent gross domestic product (GDP) growth. 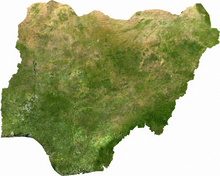 For 2016, however, the coast is cloudy, and Nigeria is nowhere near the fastest growing economies in Africa. According to the International Monetary Funds (IMF) World Economic Outlook for 2016, as revised in April, the fastest growing economy in Africa for 2016 is Cote d’Ivoire and the slowest is Chad, which is expected to record negative growth. Cote d’Ivoire is expected to experience an 8.5 percent rise in GDP, while Nigeria’s neighbour, Chad, would see a -0.4 percent growth. Following the protest of the National Association of Nigerian Students (South-West Zone) against the one semester rustication of a student activist at the University of Ibadan, the management of the institution has hereby declared an indefinite vacation for it students. In a release of the management, the students were advised to vacate the Halls of Residence before 4pm today, Tuesday, 26th April 2016. 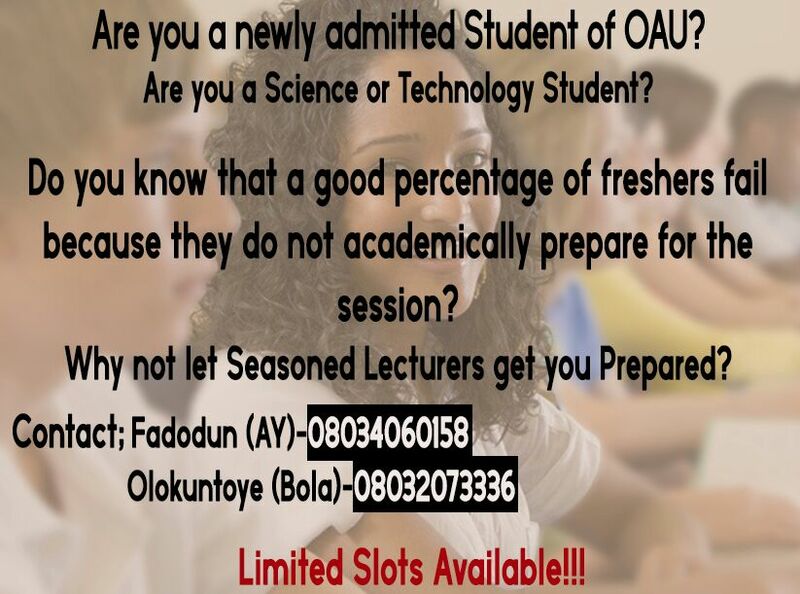 The newly admitted students of the Obafemi Awolowo University, Ile-ife have commenced online registration for the 2015/2016 academic session. Most of the online registration which is exclusive for freshers commenced following the commencement of payment of the respective fees. However, whilst the freshmen still await the activation of the Online Accommodation Request Platform which is said to begin on Wednesday, 27th April, 2016, some other registration processes like the filling of the certificate form and uploading of credentials have begun. "And Ladies and Gentlemen..We are Number 1! Booooooooom Now do you respect JESUS or nah?!! #frankincense2016 #JESUSPOWER"
Nigerian tertiary institutions’ students’ union have continued to witness oppressions from their respective university managements and this has put the vibrancy of students’ union movement into test, as the tough time for students’ unionism on most campuses continue. Students’ movement continue to witness attacks from the university managements, suspension of students’ leaders and union activists has become the order of the day. They continue to instill fear in the mind of Nigerian students, and they seem to derive special joy in the continuous oppression of students. The newly admitted students of Obafemi Awolowo University who are currently paying their fees have been advised to pay with Remita Retrieval Reference (RRR) number generated from the school's e-Portal to avoid problem. The change in payment procedure from 2015/2016 requires the freshmen to login to the OAU Portal and download RRR invoice which they will take to bank for payment. Any RRR generated elsewhere will not give access to eportal facilities like accommodation registration and screening.